Hezekiah’s Pool, ancient reservoir in the Christian Quarter of the Old City of Jerusalem. St. John the Redeemer Lutheran Church, built in 1898, wasn’t yet visible in this photo. 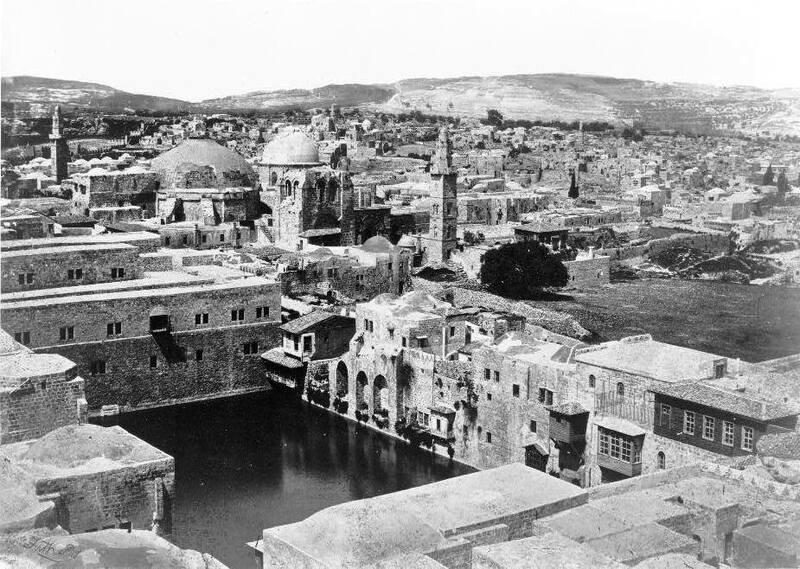 Photo taken by English photographer, Francis Frith, 1862 — with Coptic caravansary, Holy Sepulcher and Mosque of Omar.